A new law is set to take place in Arizona, HB 2281 – which is to ban “Ethnic Studies”. “Ethnic” in this case being any American who isn’t white… The need to “purify” the American language and literature… Indeed. 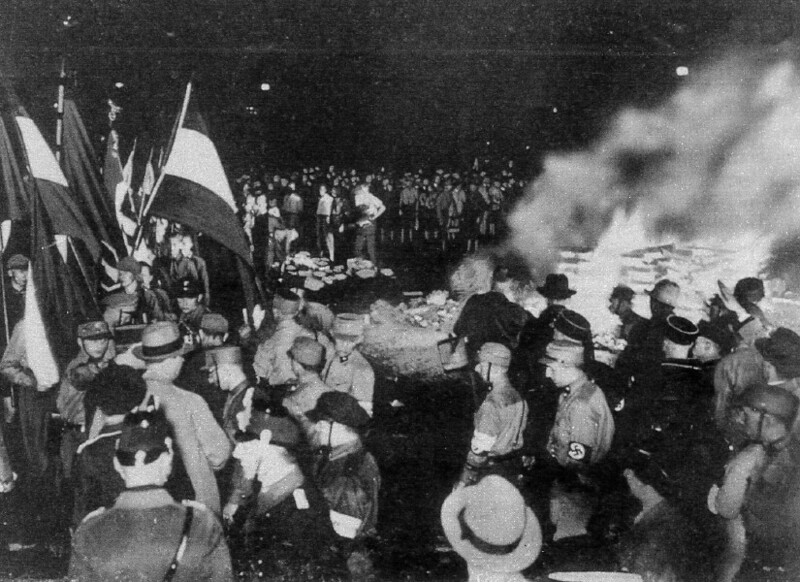 By 1938 the pogrom had reached fever pitch, and Kristallnacht. About the only difference between the Nazi Kristallnacht and an American Lynching (Tulsa, Rosewood) I can see is the spiffy Nazi uniforms. Same program, different channel. Both were preceded by virulent anti-minority language, with action bolstered by, and given the “seal of approval” of law. As a child of the 60’s, I ask myself -“What happened to all the hell raisers?” Been looking for a way to shut the whole state down about now… I guess we didn’t have video games. 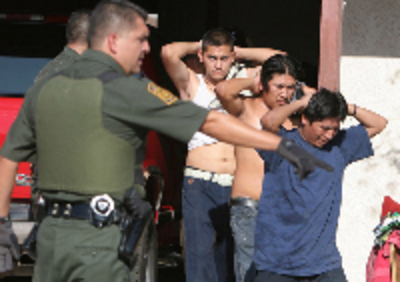 Arizona – 4 Hispanics on a Streetcorner…Is a Riot! 4 black people on a street corner is a riot. 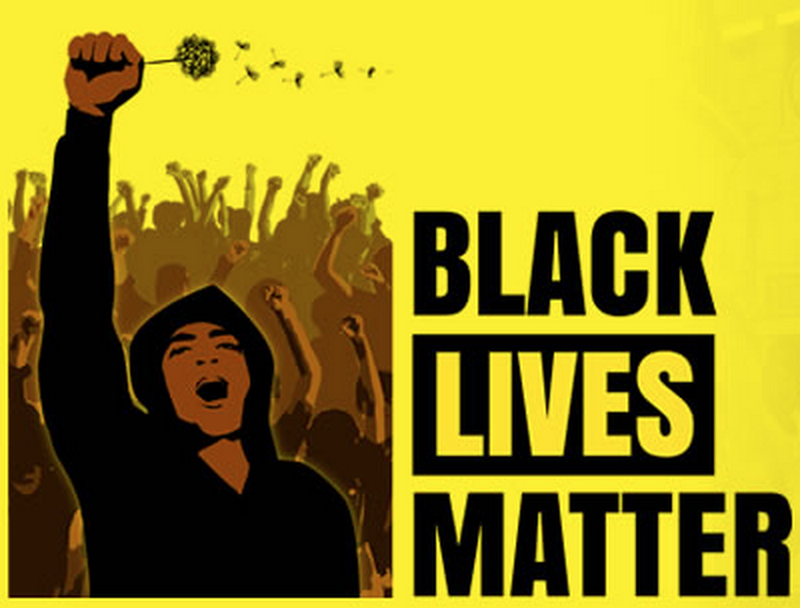 They have virtually no black folks in Arizona – so Hispanics are just going to have to do. HB 2281 outlaws curriculum that is anti-American and that advocates the violent overthrow of the U.S. government (I imagine there is a Tea Bagger exemption?). Arizona’s Superintendent for Public Instruction, Tom Horne is on record claiming that only things from Western Civilization (Greco-Roman) should be taught in Arizona schools. Pre- Colombian Indigenous knowledge from this continent – the foundation for the highly successful MAS program – is considered outside of Western Civilization. 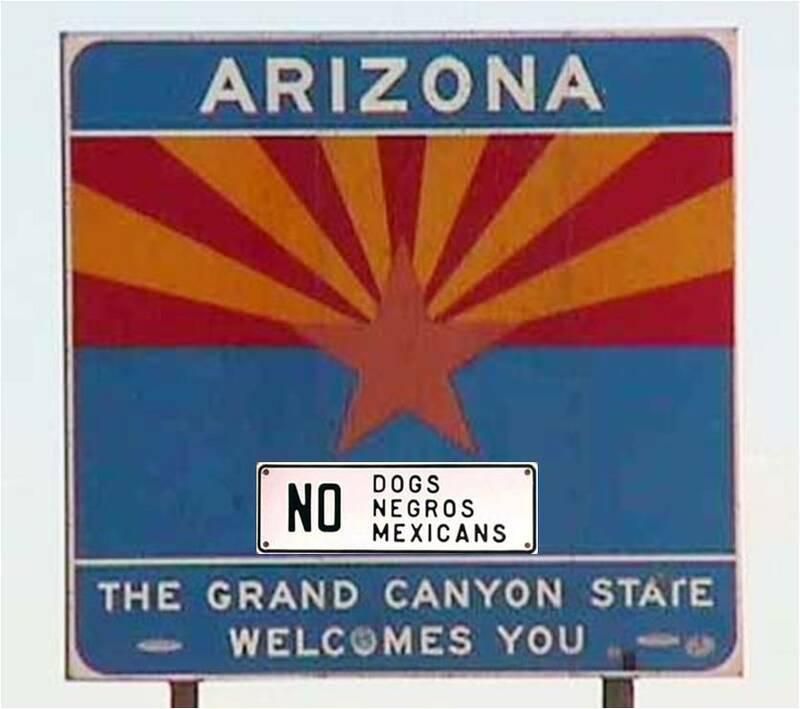 Well, this should quiet down all the racial tension in Arizona: Gov. Jan Brewer has signed a bill designed to outlaw the Tucson school district’s ethnic studies program—just hours after UN human rights experts issued a report condemning that very law. The measure is the brainchild of Arizona schools chief Tom Horne, who believes that the Mexican-American studies classes taught in Tucson high schools teach Latino students to resent white people. “It’s just like the old South, and it’s long past time we prohibited it,” Horne, a Republican running for Attorney General, tells the AP. He’s pushed for the law since 2006, when he heard that a Hispanic activist had told a class that “Republicans hate Latinos.” The law bans any classes designed to promote solidarity among a particular ethnic group. Tucson’s schools offer Mexican-American, African-American and Native-American studies programs, but district officials say they think all are in compliance with the law.